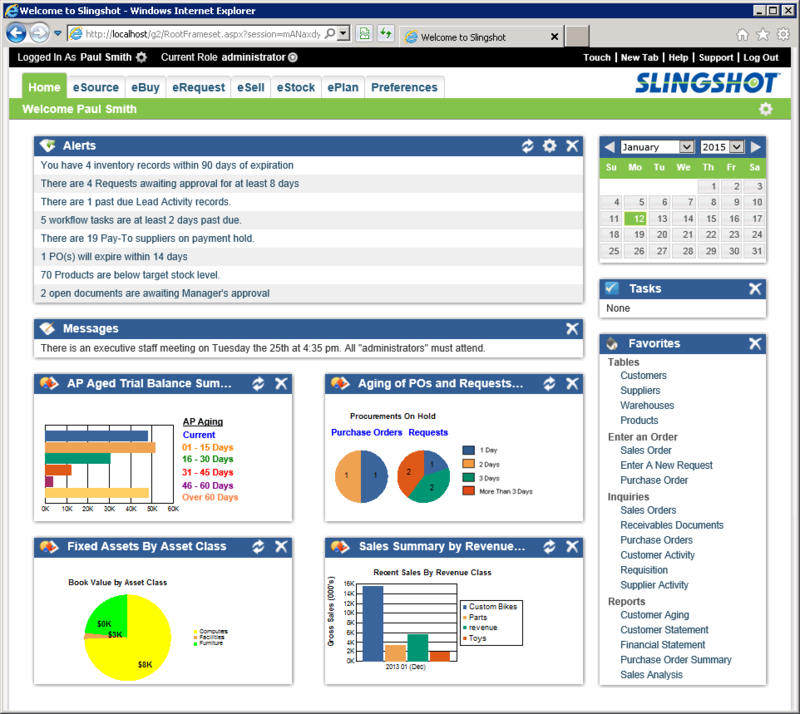 The Slingshot Enterprise Business Suite is an on-premise or cloud-hosted enterprise resource planning (ERP) solution for mid-size to large businesses. 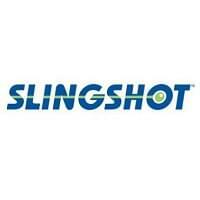 Over the past thirty years, Slingshot has evolved their product to bring customers one of the most advanced technical applications on the market. Today, they pride themselves on also delivering their ERP software over the Internet with access from any of the four major browsers or tablets, with cell phone apps available. This eliminates the need for additional hardware or programming, giving you constant access anywhere in the world. Slingshot offers best-of-breed procurement and order fulfillment, as well as supply chain planning, demand planning, forecasting, supplier management, strategic sourcing, inventory and warehouse management and contract management available within the suite. Use the eTools workbench to scale Slingshot applications to current business needs at any time. Slingshot is very flexible, meeting the needs of any industry looking to gain better control of their spending and order fulfillment. With Slingshot, communication with suppliers is accelerated, procurement options increased, error due to manual entry decreased and visibility to the entire process improved. Slingshot wants their software to work for you, and that’s why we like them. They offer a Business Process Review during implementation to help define the time, deliverables and resources needed to ensure proper deployment. Slingshot touts a proven track record of success for their clients. If you are looking for a robust tailored ERP solution, at a reasonable cost for time and implementation, Slingshot is a great solution to consider. Not sure if Slingshot meets your needs? Call and speak with one of our Technology Advisors today for a no-cost, no-obligation consultation. Learn everything you need to know about Slingshot. Our experts will reach out to you shortly.